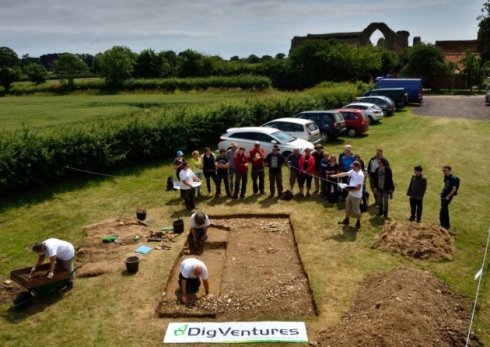 The skeleton of a huge hound believed to have terrorised villagers four centuries ago has been found in a ruined abbey. 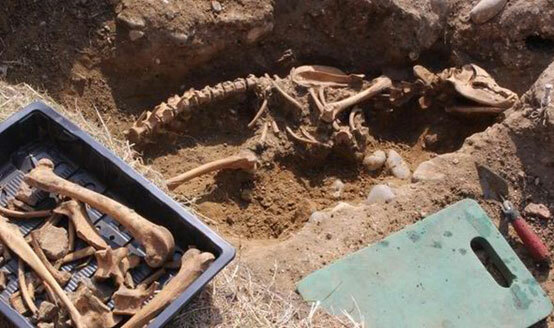 The Archaeologists believe they have found remains of the legendary Hell Hound of Suffolk according to a news report in The Express. The beast weighed up to 200lbs and stood 7ft tall on its hind legs. 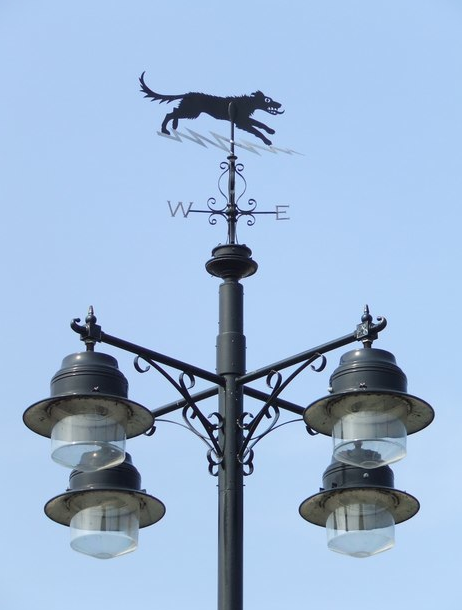 “The bones were unearthed at Leiston Abbey in Suffolk near where, according to legend, a hell hound called Black Shuck with flaming eyes and shaggy black fur appeared during a storm on August 4, 1577. 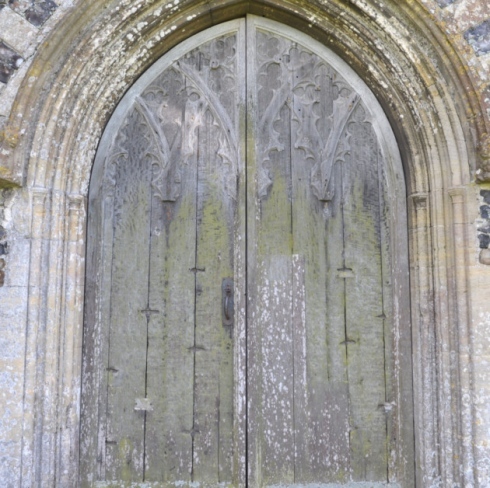 Claw marks on the door of Blythburgh Church were said to be Black Shuck’s. Marks still visible on the church door are said to be from its claws. 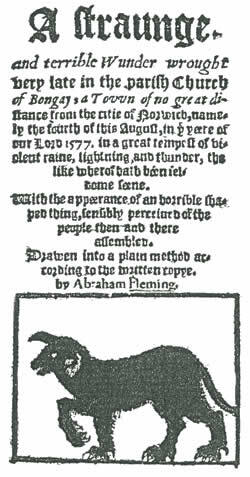 This black dog, or the devil in such a likeness (God he knoweth all who worketh all,) running all along down the body of the church with great swiftness, and incredible haste, among the people, in a visible form and shape, passed between two persons, as they were kneeling upon their knees, and occupied in prayer as it seemed, wrung the necks of them both at one instant clean backward, in so much that even at a moment where they kneeled, they strangely died. 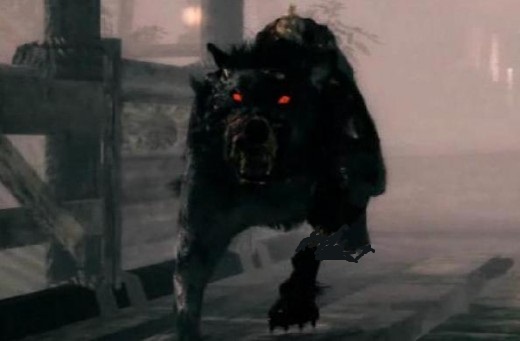 The remains of the massive dog, were found just a few miles from the two churches where Black Shuck killed the worshippers. It appears to have been buried in a shallow grave at precisely the same time as Shuck is said to have been on the loose, primarily around Suffolk and the East Anglia region. Of course there are bones to corroborate giant or large dogs in the past, this is not the only or the largest one. All animals were larger even in the immediate past only centuries ago. Dogs are no exception. Take the supernatural part of the tales with a grain of salt, but the anthropology is hard evidence for greater ancestry, and the hard evidences are where we operate.